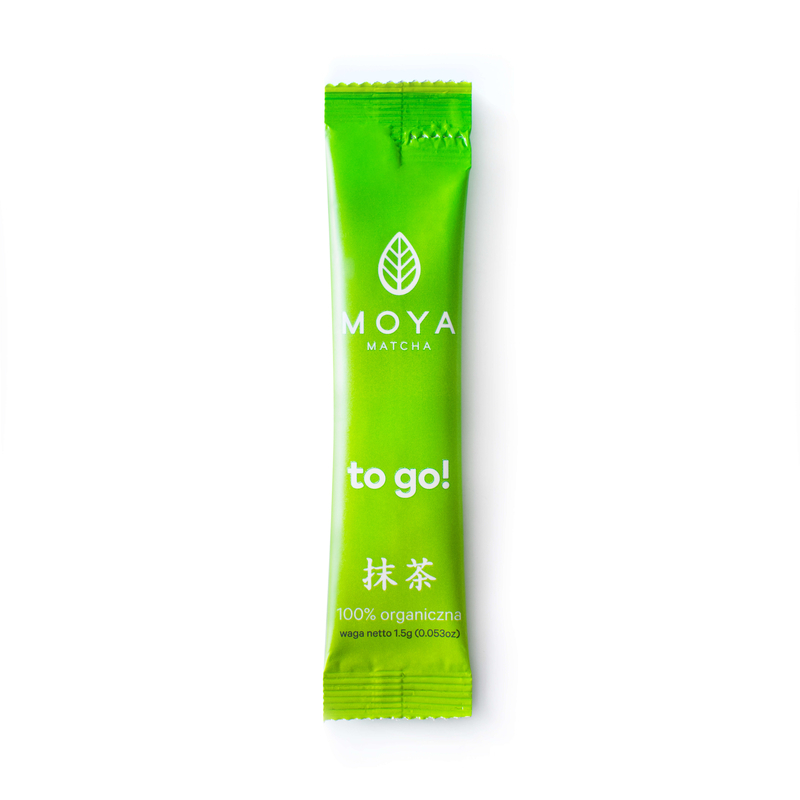 Startseite / Moya Matcha Traditional / Moya Matcha To Go! 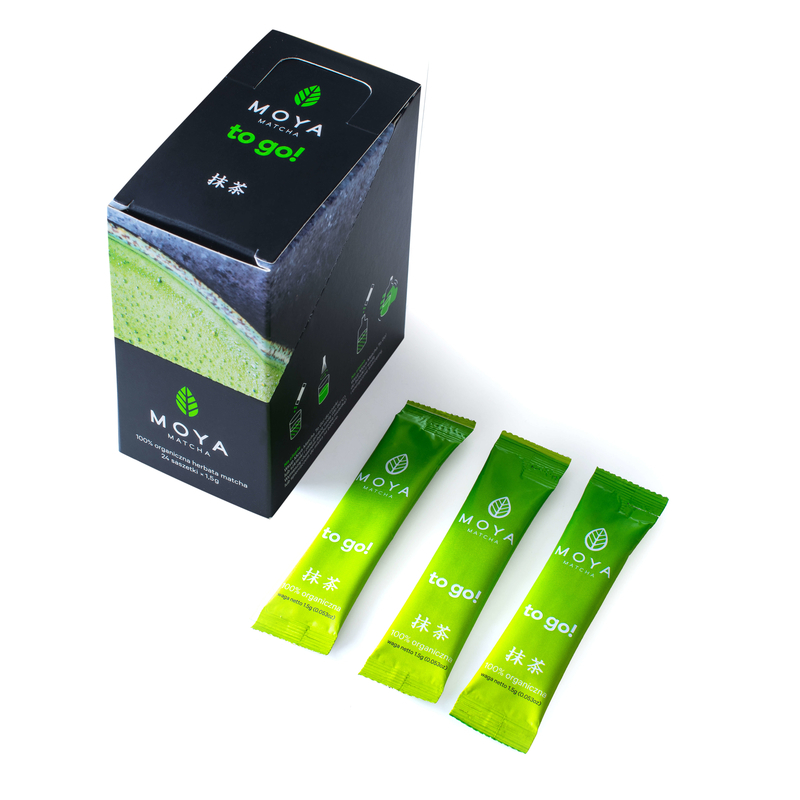 Box of organic matcha traditional sticks for everyday use. 24 sticks of 1,5g each. 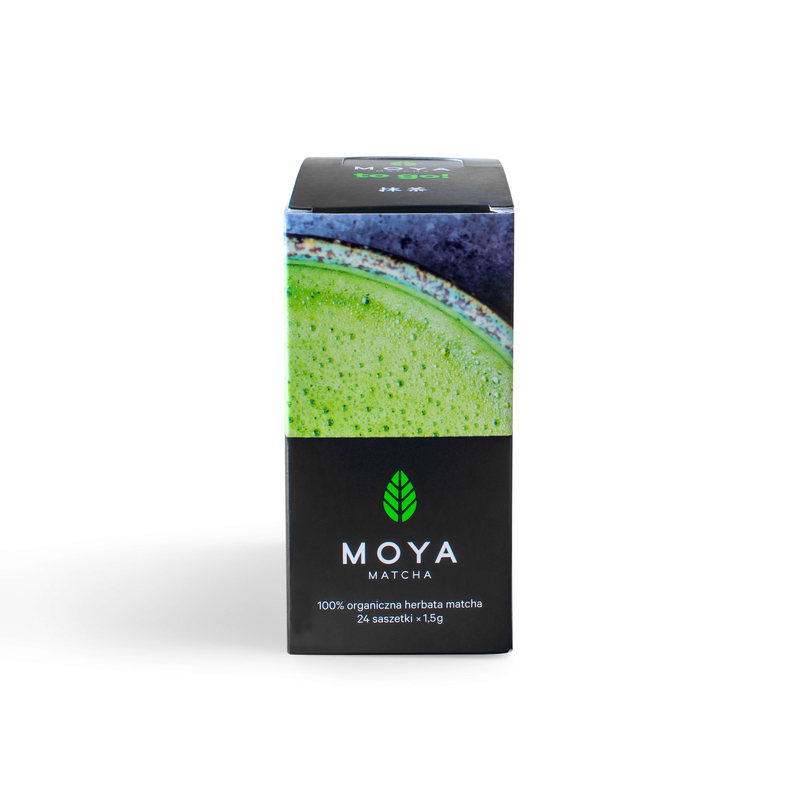 Organic Moya matcha traditional is obtained in the 1st and 2nd harvest from tea plants that are specially shaded from direct sunlight. This results in higher chlorophyll and L-Theanine contents and a richer, greener color. The fresh leaves are then collected, dried and ground to powder. 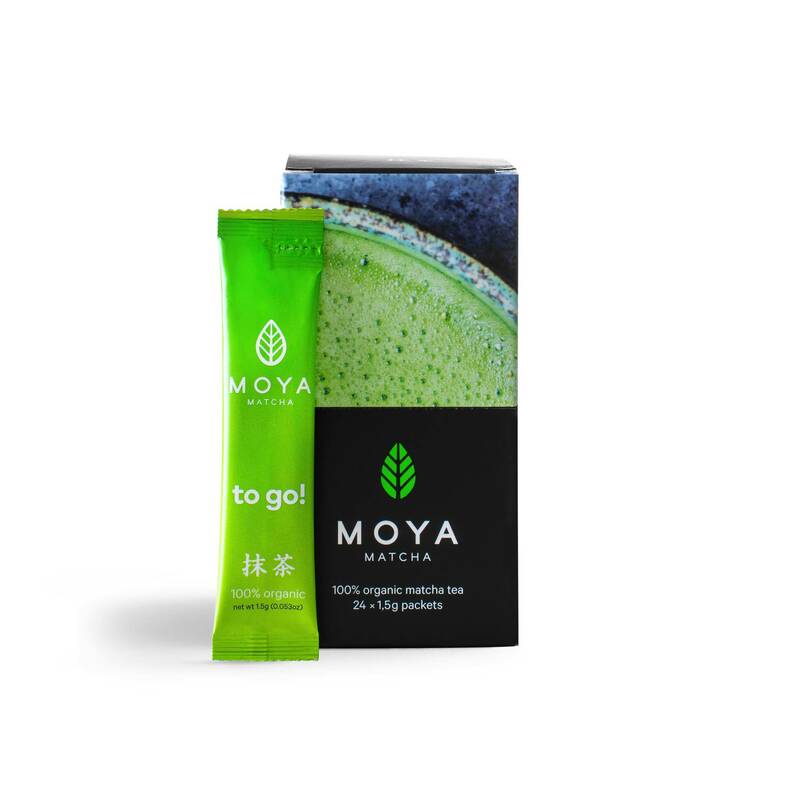 Moya matcha traditional has a balanced rich bitter-sweet taste and creamy texture. Can also be used with milk, in smoothies and for ice cream.